This new project is a boutique condominium under development by Wellesley Urban for a Midtown Toronto stretch along St. Clair Avenue West. 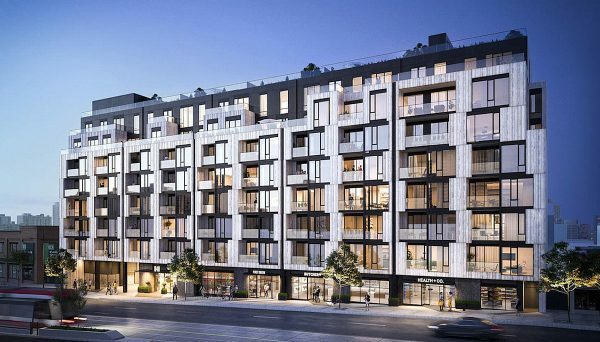 Situated at 840 St. Clair Avenue West, this condominium occupies a vibrant, stretch between Dufferin and Bathurst Streets and will stand 9 storeys with a total of 120 suites. We’re excited to introduce you to Eight Forty Condos with occupancy scheduled for 2021. This is a long anticipated project for the area, combining convenient transit access, a culturally-rich neighbourhood and urban-inspired living spaces. 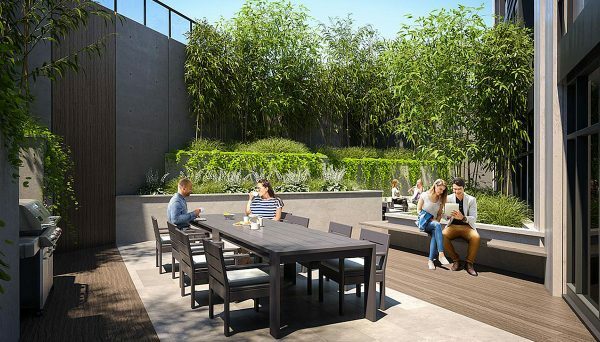 A collection of one and two-bedroom units will be available in this midrise, featuring balconies and terraces that overlook either the bustling St. Clair West to the south or the charming Forest Hill rooftops to the north. Nine-foot ceilings, European-style cabinets and designer finishes are just some of the perks you'll find inside, making for living spaces that are both comfortable and contemporary. These developers love to pamper their residents with chic amenities and the roster at 840 St. Clair is no exception. Entertain friends and family in an elegant party room with comfortable lounging and private dining space. An outdoor terrace makes the perfect spot to entertain or relax in a lushly-landscaped setting overlooking your new neighbourhood. Given their pattern of partnering with innovative and dynamic architects, we’re expecting this building to be sustainable, architecturally innovative and a chic address that tenants and homeowners alike will clamour to call home. This Midtown neighbourhood is not only a vibrant and warm place to call home, but it presents several advantages for the keen investor as well. This stretch of St. Clair West is growing in popularity, drawing young professionals and creative types, yet there seems to be a shortage of modern condominium buildings in the area. This puts you, the investor, in an advantageous place to benefit from top rental rates and your choice of professional tenants. Surrounded by authentic global cuisine, coffee bars and eclectic shops, it’s a convenient location, just steps from every convenience one could need on a day-to-day basis. The streetcar is at your doorstep and it’s a ten-minute ride to the subway station, earning this burgeoning neighbourhood an 84/100 on its Transit Score. The area is also famous for its annual “Salsa on St. Clair” festival, which draws people from all over the city to take in an array of Latin dance performances and delicious international food. 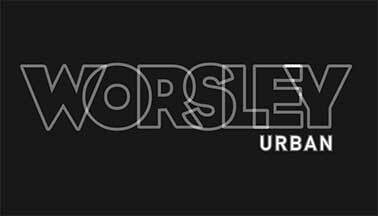 Worsley Urban is a Toronto-based development firm committed to delivering quality boutique residential projects within urban neighbourhoods. They combine both traditional and contemporary architecture with excellence in craftsmanship and sophisticated, sustainable design. We’ve seen their work in some of the city’s trendiest enclaves, where it both enhances and compliments the community’s existing fabric.